Please see the example photos of our two most used Photo Locations. 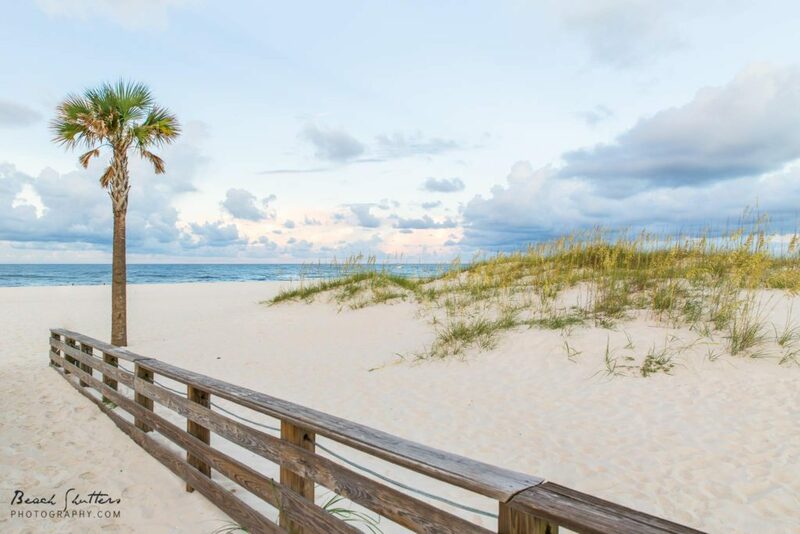 Both offer beautiful dunes, sea oats, water-views, and boardwalks. You cannot go wrong with either. If you prefer the rocks, then Alabama Point East is your place. It is the only location at the jetties. The Beach Pavilion offers the best dunes and the sunset there are amazing. Keep in mind there is less walking at the Pavillon. If you are undecided, you can always ask us. We can help guide you according to your families needs. This Photo location is great for the elderly, small children, or those that just do not want a long hike to Photos. There are some wonderful dunes, picturesque boardwalks, and an amazing palm tree. As always there are gulf and beach views. This location gives some of the best Sunset photos. This Photo location is one of our favorites. 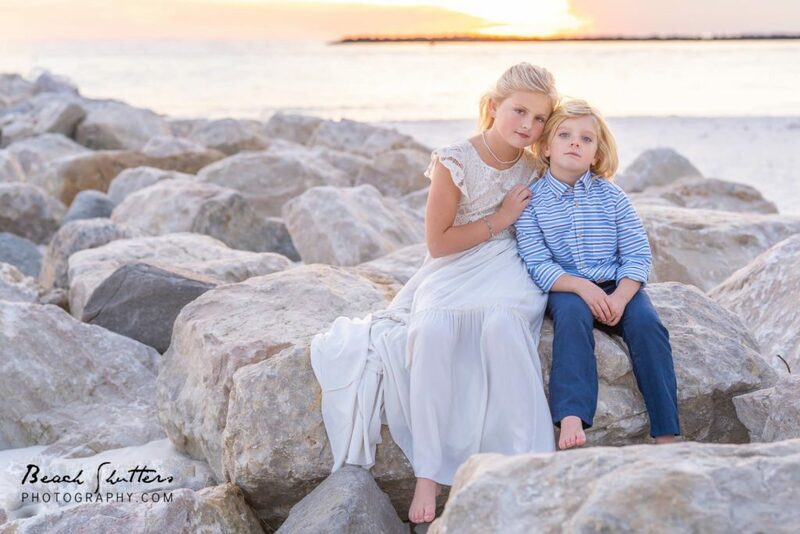 You have so many different backgrounds to choose from… There is the: Boardwalk, Sand Path, Dunes, Granite Rocks, and perfect beach and ocean views. Please note that there is a 0.4-mile walk down the boardwalk to reach this picturesque location.